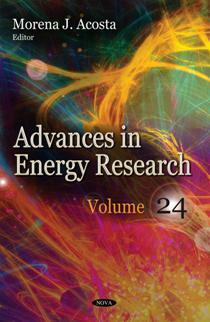 This latest volume includes contributions on the latest advances in energy research. Chapter One introduces photovoltaic-green (PV-green) roofing systems according to three different approaches: critical review about crucial factors which influence the performance of a PV-green roof; experimental; and environmental/Life Cycle Analysis (LCA). Chapter Two discusses the benefits of green roof systems. Chapter Three provides an introduction to the composition and the functioning of building management systems (BMS), as well as shows some of the available systems in the market, specifically those that are related to the automatic control of lighting and shading devices according to sunlight intensity, climate control and the monitoring of energy consumption in a service building. Chapter Four reviews both the experimental and numerical work that has been conducted on encapsulated phase change material (EPCM) thermal energy storage (TES) systems with applications in concentrating solar power (CSP) plants. Chapter Five presents the effect of thermal energy storage on the performance of combined heat and power (CHP) systems under different operational strategies. Chapter Six studies the effects of different levels of water flow rate and temperature on the performance of an induced draft cooling tower. Chapter Seven reviews the harvesting of power from bamboo charcoal. Chapter Eight investigates the magnetosphere-ionosphere-atmosphere coupling and the effect of geomagnetic activity on meteorological processes in the atmosphere.